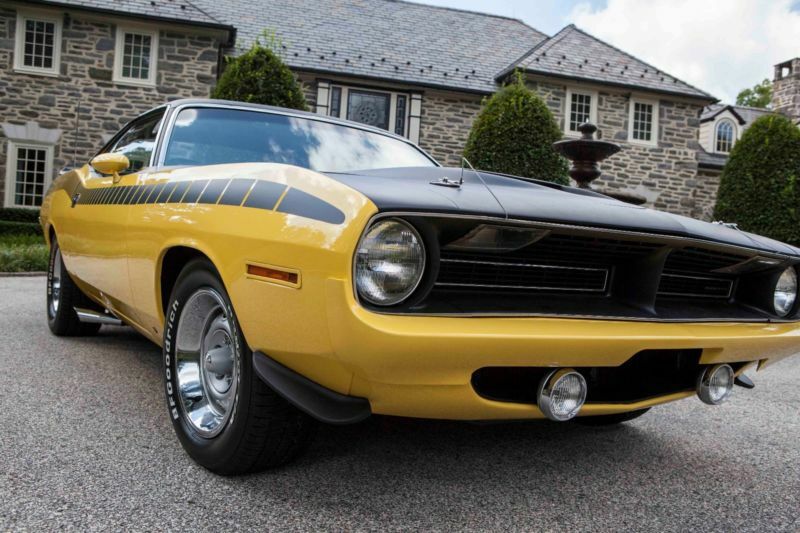 1970 PLYMOUTH AAR ‘CUDA 2-DOOR HARDTOP Introduced mid-year to further capitalize on public interest in Plymouth’s Trans Am campaign, the AAR ‘Cuda, specified by All American Racers hero Dan Gurney, attracted a whole group of road racing fans to the Mopar ranks. 1, 120 4-speed AAR Cudas left the factory with a fresh air 290-horsepower 340 Six Pack, Sure Grip Positraction rear end, heavy duty suspension front and rear sway bars and power front disc brakes as standard equipment. 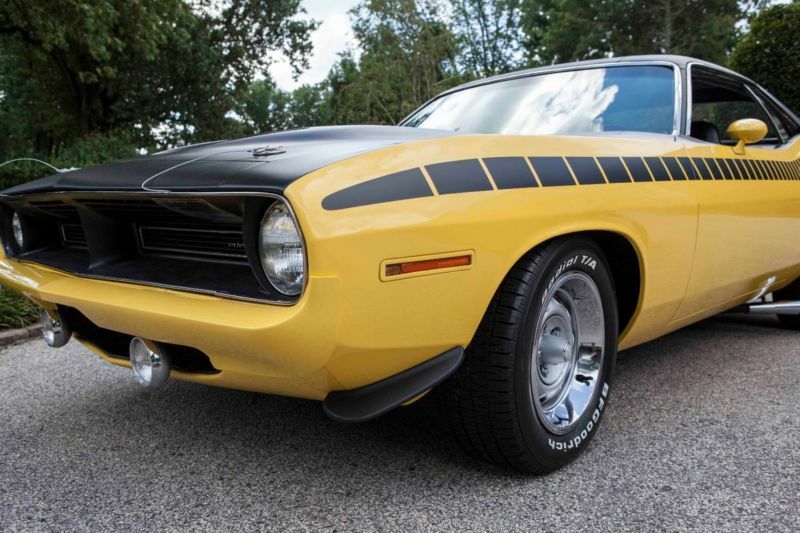 The AAR also shared a couple of unique features with its Challenger T/A counterpart: chromed megaphone side exhausts and larger G60-15 Goodyear Polyglas rear tires. 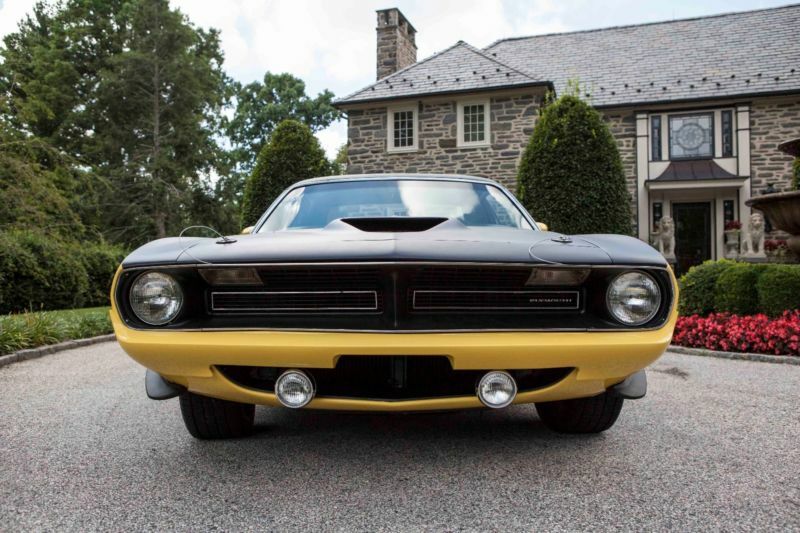 This ’70 AAR 4-speed has a date correct engine block; while not the original matching numbers piece, it is entirely correct including the heads, manifolds and carburetor. The remainder of the car has been brought as close to original as possible and all numbers match.